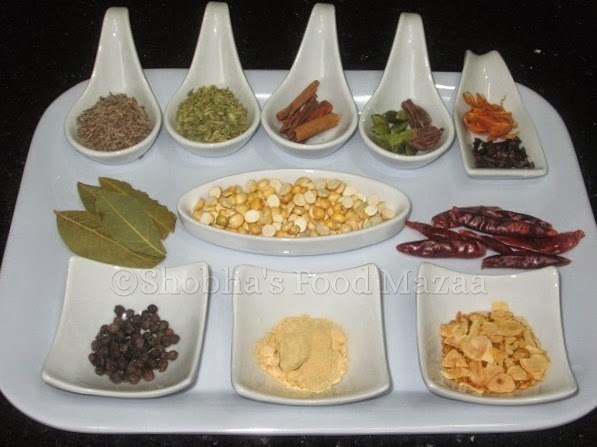 We can easily buy all these spice powders from the stores but nothing better than freshly ground home made masalas. 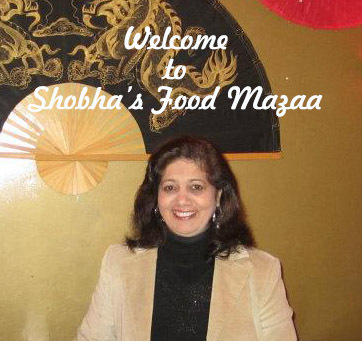 They give extra flavour to the curries unlike the packed and preserved ones. 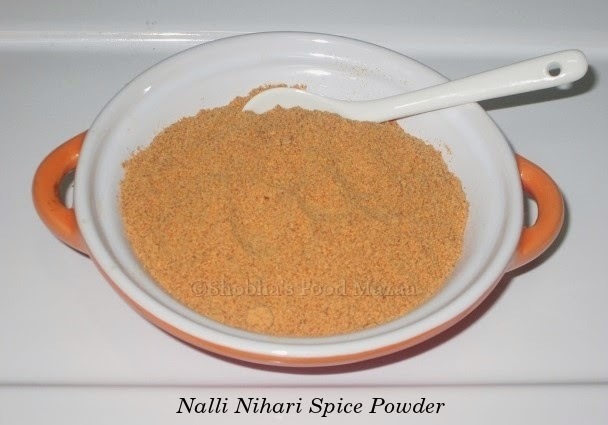 Here is a spice mix for making Nalli Nihari Gosht / Murgh . You can even try out some veggies with it.. This quantity is sufficient for one kilo of meat to make a spicy curry. If you like it less spicy you can reduce the quantity as per your preference. 1. Lightly roast all the whole spices skipping the other ingredients. 3. Store in a sterilized dry jar until use. You can make more quantity and store it for later use too. home made masalas are always the best. interesting combination of different spices along with garlic and chana dal. I bet that this would be really good on a grilled chicken breast.